For tractor models 31, 6500, 175, 180, 255, 265, (275 engine serial number prefix 248UA or LF---N or LF---U only, (290, 294-4, 690 engine serial number prior to LF---U839080J) all with 236 and 248 CID. New, aftermarket Crankshaft Seal, Front, Lip Type, Perkins 236 & 248 Diesel for sale with a solid manufacturer warranty. 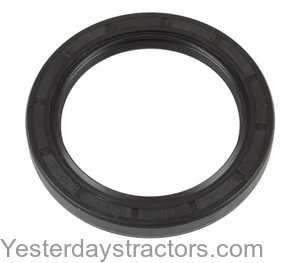 In addition, we have a generous 30-day return policy if this Massey Ferguson Crankshaft Seal, Front, Lip Type, Perkins 236 & 248 Diesel for Massey Ferguson 175, 180, 265, 255, 275, 31, 6500, 50C, 290, 294-4, 690 tractors needs to be returned for any reason. Please see our Parts Warranty and Return Policy links on your left for complete details before returning.